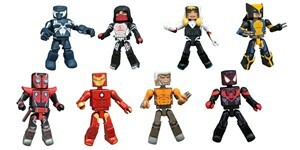 Marvel Minimates are all-new and all-different! 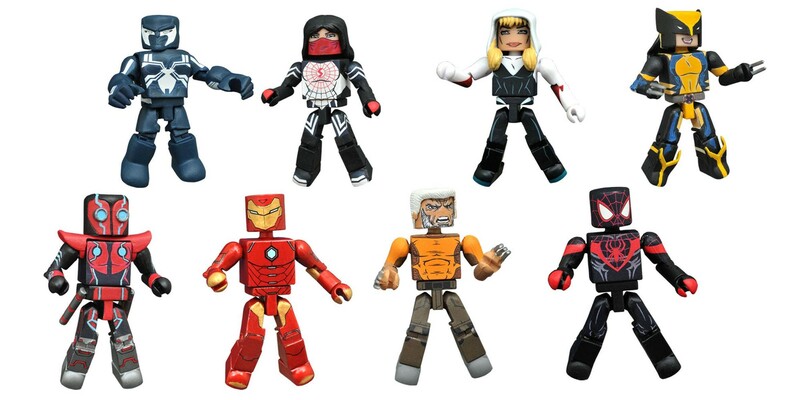 This all-new assortment of Minimates mini-figures features eight different characters from across the modern Marvel Universe, each individually packaged in a foil bag. With 18 Minimates in each counter display, customers can get either Spider-Man (Miles Morales), Wolverine II, Invincible Iron Man, Old Man Logan, Spider-Gwen, Deadpool 2099, Venom Space Knight or a rare, one-per-display Silk! Each 2-inch Minimates mini-figure features 14 points of articulation and fully interchangeable parts.